1993/08/10 McCain joins the Democrats and most Republicans voting to confirm Ruth Bader Ginsberg, the worst justice on the court today. Three Republicans vote Nay. 1993/01/13 McCain and Kerry release the Select Committee report urging the MIA issue be put to rest so that Vietnam could be granted normalized relations with the U.S., over objections by MIA family and veterans groups. Video1 Video2 ( I do not endorse all of the information presented in video1 here. The video does touch on a number of topics, and I think most are germane ) If I could have found video that contained most of this information without touching on McCain's POW experience I would have posted it instead. Still, there are parts of McCain's POW experience that are troubling. I'd just rather not go there. Video2 shows how one MIA family rep is treated, confirming some of the reports in Video1. 1997/00/00 McCain leads the opposition to the Coats Amendment, preventing government funded fetal tissue research ( derived from "a legal act" [abortion] ) Amendment defeated! 1999/08/19 McCain stated, ""Certainly in the short term, or even the long term, I would not support repeal of Roe vs. Wade,"
2004/06/04 McCain signs letter with 58 Senators, "We write to urge you to expand the current federal policy concerning embryonic stem cell research." 2006/04/28 McCain states, "I would rather have a clean government than one where quote First Amendment rights are being respected that has become corrupt." 2006/09/06 McCain joins Dole to write op-ed for the Washington Post, states in part, "We should publicly remind Khartoum that the International Criminal Court has jurisdiction to prosecute war crimes..."
2007/10/25 McCain still wants us to sign the L.O.S.T. treaty in time, but does have concerns over sovereignty issues. 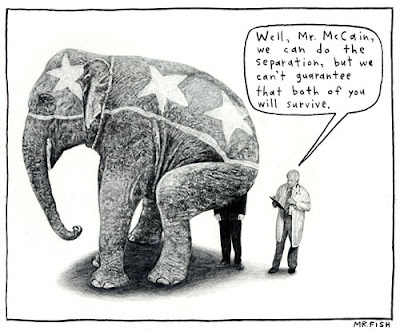 2008/03/00 McCain makes his first attempt to tell a state (North Carolina) Republican Party what to do. The RNC joins him. 2008/03/24 McCain hires Meg Whiteman to cochair his Presidential campaign. Whiteman is another wishy washy at best Independent, who has donated to leftist candidates and still doesn't have a clue what side to come down on with regard to illegal immigration. She is leaning toward running for Governor in California and being courted by it's Republican leadership. Links to CalCowGirl's comments regardint Whiteman's donations. Article above. 2008/06/04 McCain states, "I disagreed strongly with the Bush administration's mismanagement of the war in Iraq." 2008/06/28 McCain declares, "I will make comprehensive immigration reform my “top priority,” during my first 100 days in office. He assures Latino leaders that they will have an ally in the White House. 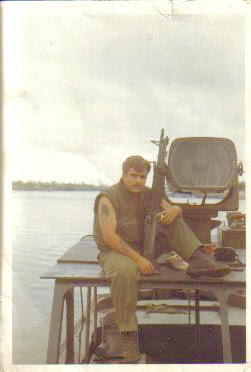 Husband, father, patriot and my friend. You shall ALWAYS be my knight in shining armor!